ARE PROFESSIONAL FIRMS HEADING TOWARDS EXTINCTION? The Industrial Revolution 200 years back completely transformed the way businesses were conducted. Work was standardised into small repetitive steps which increased productivity not by 20% to 30% but by a factor of hundreds. The technology revolution is today similarly poised to transform the way in which professional practice is organised.The existing way of conducting professional practice is undergoing a paradigm shift and proactively managing these changes is not a matter of choice but a question of survival. In this article an attempt has been made to articulate some of these fundamental changes and how we need to respond to the challenges. Professionals as a class emerged in the nineteenth century and today they are an indispensable part of society. They are highly respected for their knowledge and expertise and the apex body (ICAI in our case) under which they function has the responsibility to ensure that those who are admitted into their fraternity are not just professionally competent, but carry the profession with integrity.There is a tacit understanding that in return for their specialised knowledge, the professionals would be granted the right of self-governance in their field of expertise. In 1939 the sociologist T.H. Marshall remarked; “the professional man, it has been said, does not work in order to be paid: he is paid in order that he may work.” So the core value of the profession has been service and not profit. 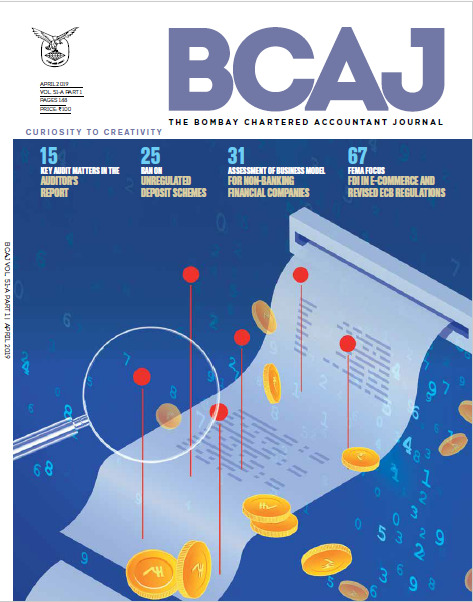 Some of our seniors remember with nostalgia that we were in the profession of chartered accountancy and not in the business of chartered accountancy. The very foundation of the relationship between a professional and a client is that of trust. Clients who seek the help of professionals in matters of critical importance themselves lack the requisite knowledge and expertise and would therefore follow implicitly the advice of the professional. Similarly, the client would be in no position to ascertain or even estimate what is the fair remuneration that must be paid for such services. Indeed, the senior professionals would also reminisce about the days when it was considered inappropriate to question a professional about his fees.